But with two grams of protein in each slice, I am not sure they were referring to the protein content. Protein is an essential building block of bones, muscles and cartilage. Our body uses it to repair tissue and make enzymes Proteins are found throughout our body, skin, nails and hair and are important for sustaining optimal health. So it is essential we consume protein on a daily basis. But how much should we consume? In a study done in the American Journal of Clinical Nutrition looking at adults ages 20 - 81 showed dietary requirements of protein didn't differ much based on age group, though women need slightly less than men, roughly 0.8g/kg/day vs 1.0g/kg/day. According to the 2015-2020 Dietary Guidelines for Healthy Americans, the recommended protein intake is 10-35% of total daily calories for both men and women at all age levels. The amount of protein only varied for athletes, the sick or the wounded. Though it’s difficult to place athletes with malnourished individuals in the same category, it is your metabolic demands which can increase your protein needs beyond the normal limits. And don’t eat your protein all at once. The human body cannot absorb more than 25-30g of protein in one sitting; any remaining will go to waste. It is best to incorporate protein throughout the day instead of ingesting it in one meal. First of all, protein slows down the blood sugar uptake and offers a wonderful steady source of energy. Additionally, individual amino acids (the building blocks of proteins) have been shown to cause kidney damage, when taken in high doses. Therefore protein should be taken in its natural form and the best protein sources are the ones you will actually eat. -When we think of protein, the most popular are the animal based sources such as lean poultry, beef, pork, fish, seafood, eggs and dairy. -And it easy to find animal sources of protein to grab on the run. My favorites include hard boiled eggs, Greek yogurt, cottage cheese, canned tuna and salmon and turkey jerky. -With a little careful planning it is possible to consume adequate protein from plant based sources such as soy, pea protein, legumes, nuts, seeds, whole grains and vegetables. Quick and accessible forms of plant protein include steamed edamame, unsalted roasted soy nuts, nuts and seeds. 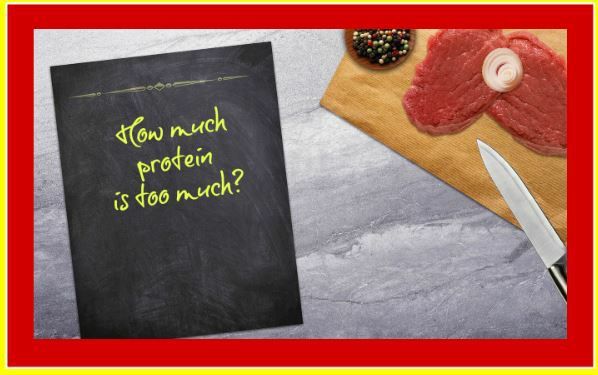 Worried your family is not eating enough protein? - Hemp seeds supply 10 grams of complete protein in a 3 tbsp. serving. Sprinkle a few tablespoons of these versatile, nutrient dense seeds into yogurt parfaits, oatmeal, salads and smoothies. - Nutritional yeast is low in calories yet supplies 8 grams of protein per 1/4 cup. It has a pleasant cheesy, nutty taste that pairs well with many foods. Add it to eggs, tomato sauce, stews, soup or as a popcorn topper. - Greek yogurt makes and excellent base for protein shakes. The yogurt lends itself to a creamier shake with the addition of 23 grams of protein per cup. - Roasted chickpeas are a great source of protein with 6g of protein per 1/4 cup serving. The wide availability of protein sources offers each of us the unique opportunity to find healthy foods we like and enjoy the experience. I generally recommend eating the protein first so you ingest the sufficient amount but be mindful of the experience. Chew each bite slowly and savor the taste, flavor and consistency before moving on to the next one. After all, your body is a temple which makes eating a holy and wonder-full experience.